Interests: Aquatic disease; Fish pathology; Relationship between chemical exposure and fish cancers; Impact of HABs. My research program currently focuses in three areas. My primary focus is in the pathobiology of pollution/disease associations in fishes. I am particularly interested in evaluating how exposure to chemical contaminants, in particular the polycyclic aromatic hydrocarbons, affects the development of liver, exocrine pancreatic and vascular cancers in wild fishes. Our research has focused specifically on a population of mummichogs (Fundulus heteroclitus) inhabiting a creosote-contaminated site in the Elizabeth River, Virginia. A second area of recent interest is in the biology, pathogenesis and life history of heterotrophic dinoflagellates belonging to the genus Pfiesteria. A third area of research focuses on an epizootic of mycobacteriosis in Chesapeake Bay striped bass (Morone saxatilis). We are investigating the epizootiology, pathology and bacteriology of this important new bacterial disease with the aim of understanding the impacts on Chesapeake Bay bass and human health. Environmental Pfiesteria Monitoring in Support of the CDC Human Cohort Study: Year 2002. Centers for Disease Control and Prevention/Virginia Dept. of Health. 1 March 2002 to 1 March 2003. Investigators: Reece, Vogelbein, Shields, Haas, Hoenig. Life History and Pathogenicity of Pfiesteria shumwayae. EPA/NOAA ECOHAB Program. 1 Oct. 2001 to 1 Oct. 2004. Investigators: Vogelbein, Shields, Reece, Haas. The Elizabeth River Monitoring Program 2001-2002: Association Between Mummichog Liver Histopathology and Sediment Chemical Contamination. VA Department of Environmental Quality. 1 June, 2001 to 1 June, 2002. Investigators: Vogelbein and Unger. Mycobacteriosis in Striped Bass: Laboratory Studies. Cooperative Agreement/U.S. Geologic Survey, National Fish Health Research Laboratory: 1 April, 2001 to 31 April, 2002. Investigators: Vogelbein & Kator. Studies on the Etiologies and Predisposing Factors of Skin Lesions of Menhaden in Chesapeake Bay Tributaries. Cooperative Agreement/ U.S. Geologic Survey, National Fish Health Research Laboratory: Blazer. 26 Nov., 1999 to 31 April, 2002. Investigator: Vogelbein. Pfiesteria or Fungus? Etiology of Lesions in Menhaden. EPA/NOAA ECOHAB Program. 1 July, 2000 to 1 July, 2003. Investigators: Shields, Vogelbein, Kator and Haas. Are Genetic Diversity and Genetic Differentiation Bioindicators of Contaminant Impact on Natural Populations? Fundulus heteroclitus as a Model Estuarine Species. U.S. EPA STAR Program. 1 Oct., 1998 to 1 Oct. 2002. Investigators: Mulvey, Newman, Vogelbein, Unger. Pfiesteria Research Initiative for Virginia. Commonwealth of Virginia. 1 July, 1998 to 1 July, 2002. Investigators: Burreson, Haas, Kator, Shields, Vogelbein. Y Kiryu, JD Shields, WK Vogelbein, H Kator, and V Blazer. Dose response and pathogenicity of secondary zoospores of the oomycete, Aphanomyces invadans, to Atlantic menhaden, Brevoortia tyrannus. Submitted: Diseases of Aquatic Organisms. MW Rhodes, H Kator, S Kotob, P van Berkum, I Kaattari, WK Vogelbein, F Quinn, MM Floyd,WR Butler, CA Ottinger. Mycobacterium shottsii sp. nov., a slowly growing species isolated from Chesapeake Bay striped bass (Morone saxatilis). In Press: International Journal of the Society of Environmental Microbiology. DR Ownby, MC Newman, M Mulvey, WK Vogelbein, MA Unger and LF Arzayus. Fish (Fundulus heteroclitus) populations with different exposure histories differ in tolerance of creosote-contaminated sediments. In Press: Environmental Toxicology and Chemistry. P Mulvey, M Newman, WK Vogelbein, and M Unger. Genetic structure of Fundulus heteroclitus from PAH-contaminated and neighboring sites in the Elizabeth and York Rivers. In Press: Aquatic Toxicology. WK Vogelbein, VJ Lovko, JD Shields, KS Reece, PL mason, LW Haas and CC Walker. Pfiesteria shumwayae kills fish by myzocytosis not exotoxin secretion. Nature. Advance Online Publication, 5 August, 2002 (doi:10.1038/nature01008). JP Berry, K Rein, KS Reece, L Haas, JD Shields, WK Vogelbein, DG Baden and RE Gawley. Are Pfiesteria spp. Toxicogenic? Evidence against production of polyketide and other ichthyotoxins by Pfiesteria shumwayae. Proceedings of the National Academy of Sciences. 5 August, 2002 (doi: 10.1073/pnas.172221699). Y Kiryu, JD Shields, WK Vogelbein, DE Zwerner, H Kator, and VS Blazer. 2002. Induction of skin ulcers in Atlantic menhaden by injection and aqueous exposure to the zoospores of Aphanomyces invadans. Journal of Aquatic Animal Health 14: 11-24. WK Vogelbein, JD Shields, LW Haas, KS Reece and DE Zwerner. 2001. Skin ulcers in estuarine fishes: a comparative pathological evaluation of wild and laboratory-exposed fish. Environmental Health Perspectives 109(5):687-693. MW Rhodes, H Kator, S Kotob, P van Berkum, I Kaattari, WK Vogelbein, MM Floyd, WR Butler, FD Quinn, C Ottinger and E Shotts. 2001. A unique Mycobacterium species isolated from an epizootic of striped bass (Morone saxatilis ) related to Mycobacterium marinum and Mycobacterium ulcerans. Emerging Infectious Diseases 7(5):127-130. JW Fournie, WK Vogelbein, RM Overstreet, and WE Hawkins. 2000. Life Cycle of Calyptospora funduli (Apicomplexa:Calyptosporidae). Journal of Parasitology 86(3):501-505. VS Blazer, WK Vogelbein, C Densmore, DE Zwerner and EB May. 1999. Ulcerative Skin Lesions in Menhaden from Chesapeake Bay. Journal of Aquatic Animal Health 11:340-349. WK Vogelbein, JW Fournie, PS Cooper and PA Van Veld. 1999. Hepatoblastomas in the mummichog, Fundulus heteroclitus (Linnaeus), from a creosote-contaminated environment: A histologic, ultrastructural, and immunohistochemical study. Journal of Fish Diseases 22:419-431. PA Van Veld, WK Vogelbein, MK Cochran, A Goksoyr, and JJ Stegeman. 1997. Route-specific cellular expression of cytochrome P4501A (CYP1A) in fish (Fundulus heteroclitus) following exposure to aqueous and dietary benzo[a]pyrene. Toxicology and Applied Pharmacology 142:348-359. P Cooper, WK Vogelbein and PAVan Veld. 1996. Immunohistochemical and immunoblot detection of P-glycoprotein in normal and neoplastic fish liver. In: Ostrander, G. Techniques in Aquatic Toxicology. Lewis Publishers/CRC Press. Pp. 307-325. WK Vogelbein and JW Fournie. 1994. The ultrastructure of normal and neoplastic exocrine pancreas in the mummichog, Fundulus heteroclitus. Toxicologic Pathology 22(3):248-260. JW Fournie and WK Vogelbein. 1994. Exocrine pancreatic neoplasms in the mummichog (Fundulus heteroclitus) from a creosote contaminated site. Toxicologic Pathology 22(3):237-247. PA Van Veld, WK Vogelbein, R Smolowitz, BR Woodin and JJ Stegeman. 1992. Cytochrome P-450IA1 in hepatic lesions of a teleost fish (Fundulus heteroclitus) collected from a polycyclic aromatic hydrocarbon contaminated site. Carcinogenesis 13:505-407. WK Vogelbein, JW Fournie, PAVan Veld and RJ Huggett. 1990. Hepatic neoplasms in the mummichog Fundulus heteroclitus from a creosote-contaminated site. Cancer Research 50:5978-5986. VS Blazer, WK Vogelbein, C Densmore, DE Zwerner and EB May. 1999. Ulcerative Skin Lesions in Menhaden from Chesapeake Bay. Journal of Aquatic Animal Health 11:340-349. 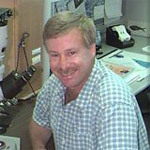 American Fisheries Society Publication Awards Committee: Nomination for Best Paper of 1999, Journal of Aquatic Animal Health. Harris, C. International Congress of Parasitology. 4-9 Aug., 2002. Vancouver, BC. Student Travel Award. Gauthier DT, SL Kaattari, and WK Vogelbein. Interaction between Mycobacterium spp. and peritoneal phagocytes of striped bass (Morone saxatilis). Proceedings: 42nd Western Fish Disease Workshop. Victoria, BC Canada. 26-29 July, 2001. Winner: Best Student Presentation. Horton CA, WK Vogelbein, PA Van Veld, and MA Unger. 1993. Toxicity resistance in mummichog (Fundulus heteroclitus) from a chemically contaminated environment. 14th Annual Meeting of the Society of Environmental Toxicology and Chemistry. Houston, Texas. Winner: Best Student Poster. United States Environmental Protection Agency, National Health and Environmental Effects Research Laboratory, Gulf Ecology Division, 1 Sabine Island Dr., Gulf Breeze, FL 32561 USA. Center for Marine Science, University of North Carolina, 5600 Marvin K. Moss Lane, Wilmington NC 28409.